New Order hit the Top 40 with "Regret." New Order topped the Billboard Modern Rock Tracks chart for 6 weeks with "Regret." New Order topped the Billboard Hot Dance Music Club Play chart for a week with "Regret." New Order hit the Top 10 with "Regret." New Order topped the Billboard Hot Dance Music Club Play chart for a week with "World." Rolling Stone: "The 100 Top Music Videos" included "The Perfect Kiss" at # 90. New Order topped the Billboard Year-End Charts with the Top Modern Rock Track ("Regret"). It was reported that New Order might be making a comeback even as their side-projects continue. The band started the comeback rumors in July when they appeared together in Manchester and at the Reading Festival in August. Bernard Sumner told Rocktropolis, "...we're kind of taking it one day at a time... if you think too far into the future, you get stressed out... the project at the moment is these gigs." Meanwhile, the side projects, including another LP by Electronic, will continue. New Order won the Q Inspiration Award. MTV: 100 Greatest Videos Ever Made includes "True Faith" at # 70. 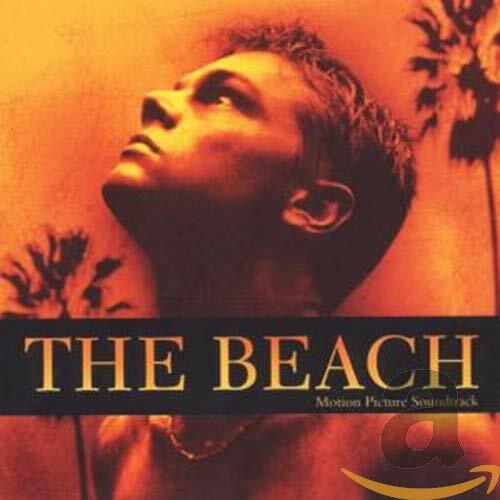 New Order could be heard on the soundtrack for The Beach with "Brutal." It was announced that Billy Corgan, formerly of Smashing Pumpkins, would be joining New Order as a touring guitarist for some summer performances. New Order released Get Ready. The LP debuted on AOL a week before its official release. New Order topped the Billboard Dance Music Club Play chart for a week with "Crystal." New Order hit the Top 40 with "Crystal." International: Best Of New Order was released. New Order released a 4-CD collection, Retro. Rolling Stone: The 500 Greatest Albums of All Time: # 361: Substance. New Order released Waiting For The Sirens' Call with the first single "Krafty." New Order topped the Billboard Electronic Albums chart with Waiting For The Sirens' Call. New Order were nominated for a Grammy Award for Best Dance Recording ("Guilt Is A Useless Emotion"). Entertainment Weekly: 100 Best Albums of the Last 25 Years included Low-Life at # 84. September 25: New Order released Music Complete. Tracks: "Love Vigilantes" - "The Perfect Kiss" - "This Time Of Night" - "Sunrise" - "Elegia" - "Sooner Than You Think" - "Sub-Culture" - "Face Up"
Tracks: "Paradise" - "Weirdo" - "As It Is When It Was" - "Broken Promise" - "Way Of Life" - "Bizarre Love Triangle" - "All Day Long" - "Every Little Counts" - "State Of The Nation"
Tracks: "Ceremony" - "Everything's Gone Green" - "Temptation" - "Blue Monday" - "Confusion" - "Thieves Like Us" - "Perfect Kiss" - "Subculture" - "Shellshock" - "State Of The Nation" - "Bizarre Love Triangle" - "True Faith" - "In A Lonely Place" - "Procession" - "Mesh" - "Hurt" - "Beach" - "Confusion" (Instrumental) - "Lonesome Tonight" - "Murder" - "Thieves Likes Us" (Instrumental) - "Kiss Of Death" - "Shame Of The Nation" - "1963"
Tracks: "Fine Time" - "All The Way" - "Love Less" - "Round & Round" - "Guilty Partner" - "Run" - "Mr. Disco" - "Vanishing Point" - "Dream Attack"
Tracks: "Regret" - "World" - "Ruined In A Day" - "Spooky" - "Everyone Everywhere" - "Young Offender" - "Liar" - "Chemical" - "Times Change" - "Special" - "Avalanche"
Tracks: "Let's Go" - "Dreams Never End" - "Age Of Consent" - "Love Vigilantes" - "True Faith" - "Bizarre Love Triangle" - "1963" (1995 Version) - "Fine Time" - "Vanishing Point" - "Run" - "Round & Round" (1994 Version) - "Regret" - "World" - "Ruined In A Day" - "Touched By The Hand Of God" - "Blue Monday" (1988 Version) - "World In Motion"
Tracks: "Crystal" - "60 Miles An Hour" - "Turn My Way" - "Vicious Streak" - "Primitive Notion" - "Slow Jam" - "Rock The Shack" - "Someone Like You" - "Close Range" - "Run Wild"
Tracks: "Who's Joe?" - "Hey Now What You Doing" - "Waiting For The Sirens Call" - "Krafty" - "I Told You So" - "Morning Night & Day" - "Dracula's Castle" - "Jetstream" - "Guilt Is A Useless Emotion" - "Turn" - "Working Overtime"
Tracks: "Ceremony" - "Procession" - "Everything's Gone Green" - "Temptation" - "Blue Monday" - "Confusion" - "Thieves Like Us" - "Perfect Kiss" - "Sub-Culture" - "Shellshock" - "State Of The Nation" - "Bizarre Love Triangle" - "True Faith" - "1963" - "Touched By The Hand Of God" - "Blue Monday '88" - "Fine Time" - "Round And Round" - "Run 2" - "World In Motion" - "Regret" - "Ruined In A Day" - "World (Price Of Love)" - "Spooky" - "Crystal" - "60 Miles An Hour" - "Here To Stay" - "Krafty" - "Jetstream" - "Waiting For The Sirens Call" - "Turn" - "Temptation"
Tracks: "Restless" - "Singularity" - "Plastic" - "Tutti Frutti" - "People On The High Line" - "Stray Dog" - "Academic" - "Nothing But A Fool" - "Unlearn This Hatred" - "The Game" - "Superheated"